Evil lurks and conspires against God and his kingdom. Rather than becoming unsuspecting actors in Satan's tactics, an awareness of Satan's schemes allows us a prime opportunity to subvert his plans and promote truth and justice for all. 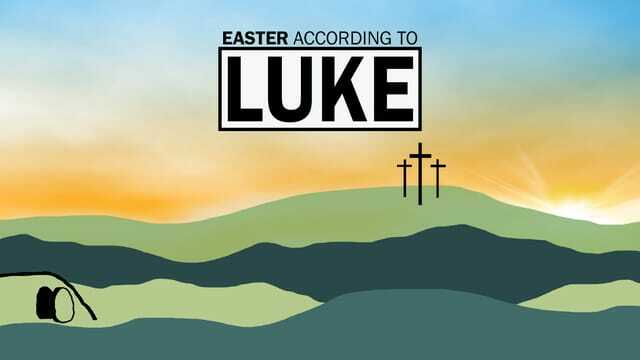 Good Friday (Weeping) - April 19, 7:45 p.m.; Saturday (Waiting) - Online, April 20, 10.a.m., Watch on Demand following live broadcast; Easter Sunday (Wonder) - April 21, 8, 9:30, 11 a.m.
On Easter, members are encouraged to attend one of the three worship services and serve during one service. Servant are needed in Children’s Ministry, Guest Services, and the GO Java Coffee Bar.